Brick + Beam Detroit is an organization that supports homeowners throughout the city of Detroit as they work on home rehab and repairs. For the past two months we’ve been fortunate enough to work with the amazing ladies who started this organization – Emilie Evans, Amy Elliott-Bragg, and Victoria Olivier – as we explored how to support those embarking or in the midst of home renovation in the City of Detroit. BB+D offers monthly programming, which ranges from classes and workshops, to social events where people can share their stories. In addition to the monthly programming, they have a variety of resources available on their website, as well as a map where people can tag and share details about their projects. We began with the idea of connecting people to physical resources that were presented in some type of box, but by utilizing the design thinking process that has been central to our Challenge Detroit experience, we quickly realized that there were more layers to this question than we had initially thought. We met with a number of stakeholders, including the Detroit Land Bank Authority, as well as staff at the City of Detroit, and found that a number of resources are available to assist people who are in the midst of home renovations, it’s a matter of connecting the resources together. We also realized that there might be two different versions of a launchbox. One takes a physical form and holds items such as a hammer or tape measure, discount card, energy efficiency kits, and printed how-to guides. The other consists of videos and resources that are available on the BB+D website, such as the contractor list and how-to materials that are specific to Detroit. What we’ve created is a strategic report that outlines the possible resources that BB+D could connect rehabbers to in the future, as well as opportunities for future workshops or events that focus on energy efficiency, contractor research, and the permitting process to name a few. We’ve also provided BB+D with suggestions on the possible design for a physical toolkit, which we hope will lead to further design iterations, and eventually something that is a tangible resource for the rehab community in Detroit. This process has provided us with valuable information for homeowners, DIYers, and professionals. 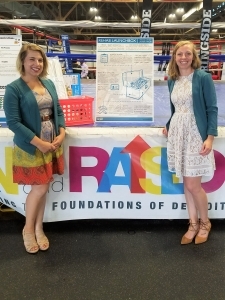 Our goal was to help grow and strengthen B+BD mission of supporting rehab in Detroit by sharing knowledge, building talent, and providing access to resources. So whether you are doing a small home renovation or a complete head to toe remodel, check out B+BD for all your rehab needs!